Big Brother Spoilers: Who will WIN the $500,000? Adam, Porsche, or Rachel? 9:40am – 10:15am The live feeds return from waking up the houseguests. Adam, Porsche and Rachel are out in the backyard. 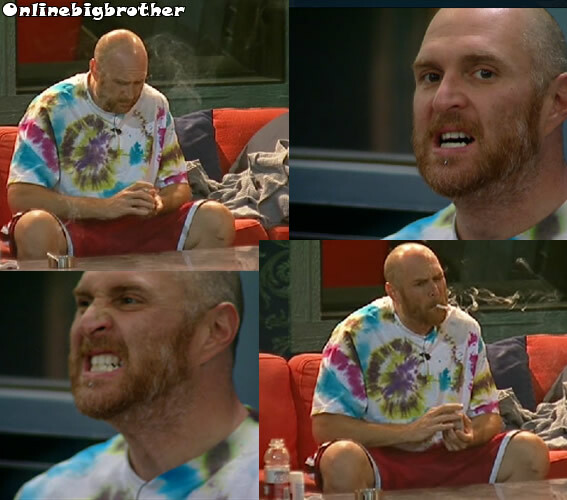 Adam chants last day, last day, last day… Porsche chants crazy, crazy, crazy… Porsche says so what do you think since we don’t go back into the house should we leave the shirts (tie-dye fan shirts) in the cupboard? Or should we just ask them? Porsche heads inside. Rachel says that she is surprised they aren’t on any kind of lockdown yet.. Rachel asks Adam if he is excited to see Fara tonight. Adam says YES! Rachel says she can’t wait to squeeze Brendon. Rachel says that she has so much anxiety about tonight. Rachel says that she realized what Adam meant when he said this is the last day of vacation… after today I have to find a place, get my life together …and pay two speeding tickets. Rachel says that tomorrow they need to go to his school and explain to his professors why he was away so long. Adam asks didn’t you do that already? Rachel says that he did but ..just to make sure. Porsche joins them on the couch. They all talk about how they have to go back to their real lives. They ask questions about what has happened this summer while they were in the BB house. What is the price of gas? What celebrities died? WATCH the Backyard Interviews after the Live Show Tonight! Big Brother 13 Live Feed Screen Captures – September 14th, 2011 Updated LIVE! 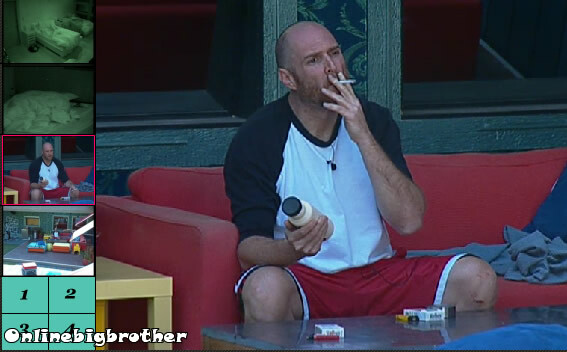 Big Brother 13 live feed Gallery for September 14th 2011. Each minute we take a series of screen captures from each Live Feed cam in the house and upload them to our Gallery every 10 minutes. This system runs 24/7 expect thousands and thousands of Screen Captures every day. Alerts are sent out via our Twitter account @BigBspoilers and Facebook page. 11:17AM Porsche and rachel are doing the dishes. They’re talking about how BLANK the razors are in the Big Brother 13 House. Porsche wonders if maybe she should request a shaver with more than 2 blades.. she already requested it a couple time now. Porsche asks Rachel if they hear the houseguests requests. Rachel says yes they hear all the things we say in this house they just don’t care.